You may have looked further into just using the condom, both male and female. But firstly, you won’t be able to enjoy the beautiful feeling with a barrier like that, and secondly, what happens if they rip? Then there is no protection at all. That was a no. If you looked into taking the pill, you were concerned about missing a day, or taking it at the wrong time, or having to take a medication that would cancel out the effectiveness of the pill. Therefore, you didn’t want to take that chance and not to mention, the pill is one of the most inconvenient ones around. You also may have looked into getting protection from having the Depo shot, but the issue is, you have to be sure to go every 3 months to get the shot or else if you get the timing wrong, it won’t be effective either. Not to mention, if children are something that you want in your future, it could take your fertility a very long time to return. You may have also looked into the IUD, whether or not they release hormones, or the diaphragm and you became concerned about these devices either becoming expelled or dislodged. So, therefore, you started to narrow down to other options. You have heard that the patch has a bit of a higher failure rate than the rod, so you decided to look further into using the rod for protection. 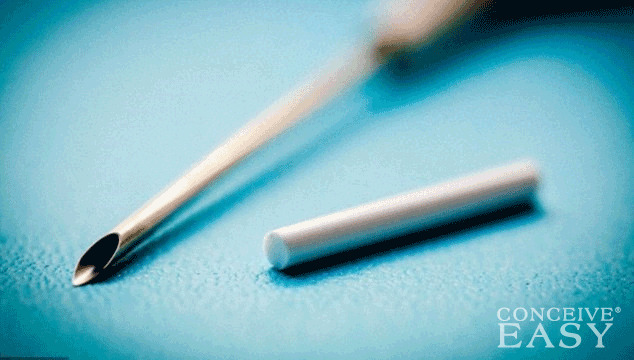 The rod, which is also referred as the implant, officially called Nexplanon, is a device that looks like a matchstick, that is inserted into a woman’s inner upper arm to help prevent pregnancies from happening. No one can see the device. Nexplanon obviously has to be implanted by a doctor, and it releases progestin, which prevents ovulation from happening and is 99% effective. It is good for 3 years, and after the 3 years is up, then the woman will decide whether she wants to start trying to conceive, or continue on with using birth control. After your doctor places the device into your inner upper arm, you will need to make another appointment to make sure it has stayed in the right place. If not, you could get pregnant. In the meantime, you will have to use condoms for protection until it is confirmed that the device has been placed properly. There is approximately 1 out of 100 women who have gotten pregnant while using Nexplanon, and the only explanation would be that the device was faulty or not placed in the right area. However, if you suspect that you may be 1 out of the 100 that conceived while on Nexplanon, then you must have it removed. The other risks to this form of birth control are that it can be risky for women who have had blood clots, liver disease, had a history of breast cancer and have an allergy to anything that is in the device. Your practitioner may be hesitant to prescribe you Nexplanon if you have gallbladder or kidney problems, a history of depression, high blood pressure, high cholesterol or triglycerides, headaches, diabetes or if you are allergic to anesthetics and antiseptics, because that is how the implant has to be inserted by using those. If the device cannot be felt, then that means it has not been placed properly, and you will have to go through special tests to check where it is so it can be removed. Unfortunately, that will require surgery of some sort. The side effects that you are to expect from insertion is some pain, irritation, swelling, bruising, and scarring. But as long as it does not become infected or if your nerves and blood vessels are not affected, the symptoms will die down once the body is used to it. There is also a risk that the implant can break, and if you suspect it has, then you must go to your doctor. If it breaks it will also become ineffective, and you don’t want to have a broken device inside of you! However, the most common side effect of Nexplanon is the change in normal menstrual bleeding, and some women stopped using the device because the change in their bleeding pattern was uncomfortable. Sometimes longer or shorter bleeding can be experienced, as well as spotting or no bleeding at all. 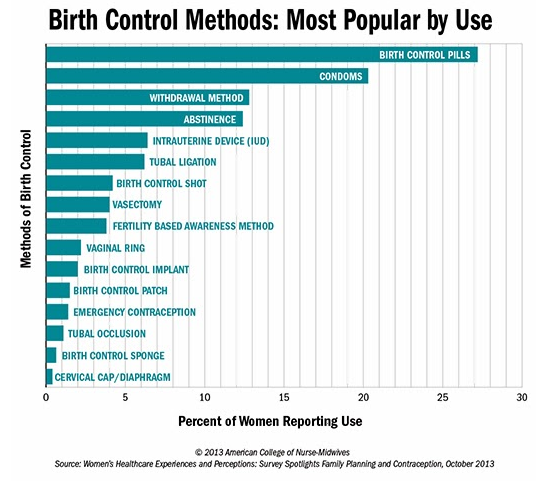 With birth control devices that release progestin, amenorrhea can happen to the cycle, and plenty of women don’t like using birth control that releases progestin for that reason and will take their chances to only use condoms and non-hormonal devices. The other downside of using birth control methods that release progestin like Nexplanon is that it can take some time before the ovulation cycle returns once the woman (or couple) decide they want to start trying for a baby. Some women who have gotten off of Nexplanon have either conceived right away, but for some, it has taken them a year in order for them to get their fertility back. However, fertility usually resumes much quicker after coming off of Nexplanon than it does after coming off of the Depo shot as it can take up to 18 months in that case for ovulation to start again! Many women have success jumpstarting their ovulation cycle by taking a natural over the counter fertility pill like ConceiveEasy, which helps to regulate ovulation cycles. If you wish to go the prescription route, if you’re continuing to have trouble ovulating after Nexplanon, you can then ask your doctor if Clomid might be right for you. How Will you Know When Ovulation Happens Again? Once you start getting regular periods, then you know that your fertility has resumed after having the implant removed. 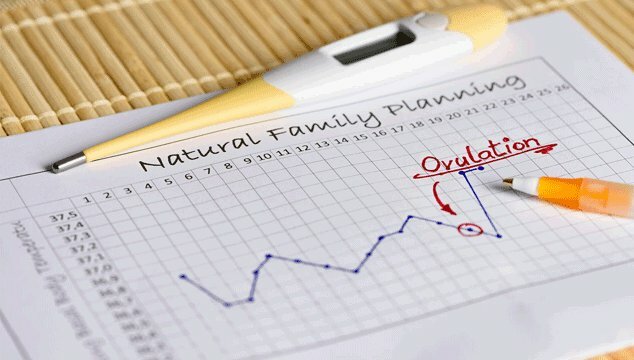 Again it can happen a month after or 12 months after removal, there is no way to predict when ovulation will start happening again after the Nexplanon has been taken out. But, it is the best idea to wait until you have had one normal period to start trying to conceive a baby. The reason is that you don’t want to have any leftover progestin in your system, and you want your hormonal levels back to normal before trying to conceive. When you go and have your device taken out, you will want to talk to your doctor about wanting to get pregnant, and he or she will be telling you what was just said here: it is unknown when your fertility will return as it could be in one month or in a year. Your doctor will likely tell you to start tracking your cycles, which can be done in a variety of ways. You would also need to know that just because you may have a period does not mean you are ovulating yet. That is true if your periods are still really irregular, and not just by irregular by a few days. If they are unusually light or heavy, then that means your body still hasn’t restored its fertility. The only way you will know for sure is if you take your body basal temperature each morning, and see if there are any spikes in temperature. You can get a body basal thermometer at drugstores like Walgreen’s, Rite-Aid, or CVS, or free in the ConceiveEasy TTC Kit. You need to take your temperature literally right after waking up without moving at all other than grabbing the thermometer. Just be sure to keep it on your nightstand where you can reach it from your bed easily so you are not moving much. Otherwise, the temperature will not be accurate. If there is a spike, then take note of it and that is a sign that you have ovulated. It is best not to try to conceive for at least 2 more months so you can get a clearer idea when in your cycle you are ovulating, and you will want to make sure you are consistently ovulating too. You could be in a situation where you are ovulating for one month, and then you aren’t ovulating again 3 months later. That is why it is recommended to take your temperature for at least 3 months so you see you are steadily ovulating before actively trying to conceive. You can also check the consistency of cervical mucus while you are charting your fertility. Scant and dry mucus means that you are not ovulating at all, and that is the type of mucus you would expect to see right after you finish your period. As your cycle progresses, you will be releasing a creamy mucus that is not too stretchy, but once your mucus is egg-white-like with its consistency, then that is a sure sign that you are ready to ovulate! If it coincides with the timing of when you are seeing the spike in temperature, or a few days before which is the best time to try to conceive, then you know you are ovulating! If you want to use ovulation predictor kits, then it is best to use them when you know when you are roughly ovulating because they can become expensive (unless you go for the 20 free ovulation tests with the ConceiveEasy TTC Kit offer). But the further you are along in your cycle, and the closer you suspect you are to ovulation based on when you have ovulated in the previous cycles, you can use the strips that measure the luteinizing hormone in your urine. There are only so many strips in a store-bought package, usually around 5. When you discuss with your doctor about the desire to conceive, your doctor will likely discuss with you about getting to a healthy weight if you are either very underweight or very overweight. If you have a BMI from 20-30 then you can conceive at that weight without much trouble. If your BMI is from 25-30, you will want to be very careful about how much weight to gain during pregnancy. 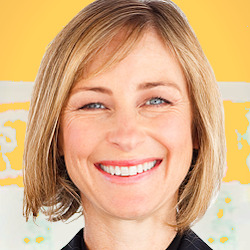 You will also want to kick bad habits such as drinking, smoking (which you likely quit while having the implant inside of you because smoking can cause complications while you are using that form of birth control, like many others that release hormones), doing drugs and consuming a lot of empty carbohydrates and sugar. You may want to get a referral to a dietician or nutritionist to help you eat right and help you get the nutrients you need in order to be ready for a pregnancy. However, in the meantime, swap white breads, white rice, potatoes, white flour, white pastas, potato chips, candies, and fast food to whole grain bread and rice, whole grain pastas and cereals, and fruits and vegetables to snack on. Increase your protein intake, as well as whole fat dairy as skim milk and low fat dairy products can actually hurt your chances of conceiving. Make sure you eat salmon and other fish that are rich in Omega 3 fatty acids, but avoid tuna as well as shark meat as that can have high levels of mercury which can be harmful for the developing baby. 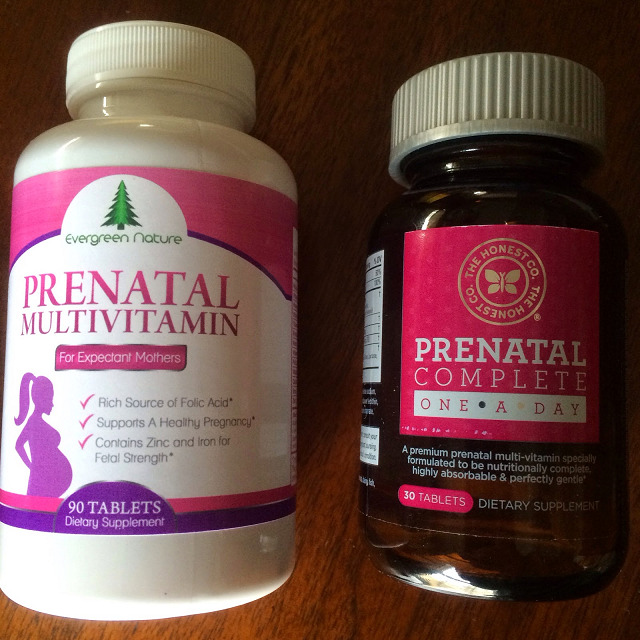 Also, be sure to get a prenatal vitamin prescription or one over the counter, as well as a prescription for folic acid (if not included in your prenatal) as that is important to take in order to prevent devastating neural tube defects in the developing fetus. Be sure to start getting moderate exercise as well such as taking half hour brisk walks 5 times a week, with some light aerobics in there as well. If you are overly active, or if you are living a sedentary lifestyle, that will hurt your chances of conceiving. Being overly active will stress your body out, and so will not getting any exercise at all. Also, make sure you take up meditation and yoga, or take pleasure in hobbies such as music, watching shows you like, reading, or anything that can help you lower stress levels as high stress will hurt your chances of conceiving as well. Therefore, once you make the decision to get off of Nexplanon because you are ready to conceive, it will take time for your fertility to return but in the meantime you can get your body ready to go through a pregnancy. Good luck!